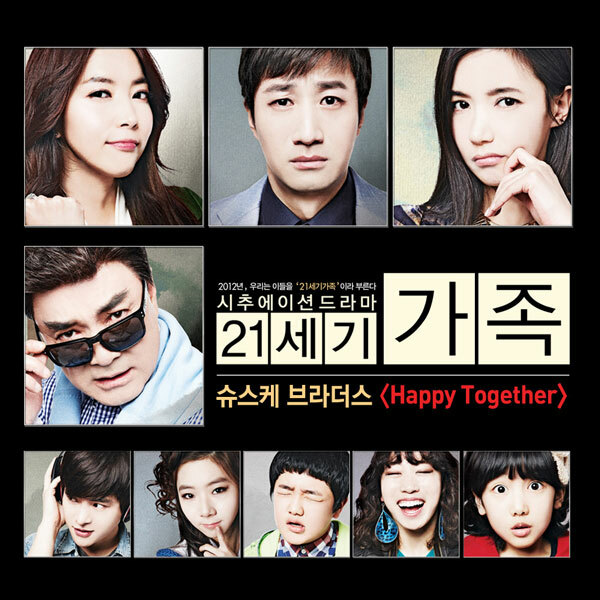 The 1st OST (original soundtrack) for tvN’s drama series 21st Century Family is released on March 9th, 2012, with the introduction of the song with the title of Happy Together. Though it’s the “OST” for the drama, the song is not original at all, as it’s the English song first released by The Turtles in 1967. The song of Happy Together is sang by Super Brothers (슈스케 브라더스), a band consisting of Kim Do Hyun (김도현), Min Hun Gi (민훈기) and Lee Seung Jun (이승준) from Superstar K3 (슈퍼스타K 3). The song is written by Garry Bonner and composed by Alan Gordon. Listen to Happy Together at YouTube.